Information technology specialists intending to cultivate successful careers can embark on professional tracks. Those who wish to dodge the confines of the IT department and collaborate with colleagues in other parts of the business have the freedom to make this move. Conversely, enterprise technology experts who prefer the autonomy, obscurity, and technical nature of more traditional IT work certainly have the opportunity to carve out sustainable careers and boost the bottom line through impeccable backend expertise. While there are an immense number of specific professional tracks available to individuals in both groups, two specific pathways often stand out among the rest: computer information systems and management information systems. Despite possessing similar names, these IT specialties differ greatly. The CIS specialty constitutes the ideal opportunity for professionals in the industry looking to take on cross-functional duties outside of IT while the MIS niche offers technical enthusiasts the opportunity to expand their backend influence. People pursuing new opportunities in the IT space would be wise to familiarize themselves with both areas and determine which one matches their respective aspirations. Modern businesses maintain extensive enterprise IT setups encompassing everything from antiquated on-premises servers and tape-based backup drives to cloud computing platforms and connected assets associated with the internet of things. These items support mission-critical operations and therefore are of supreme importance to upper management. However, business leaders do not take an active role in ensuring this infrastructure is up and running— that job falls to CIS specialists, according to The College Board. These IT professionals are responsible for a whole host of duties, from diagnosing the occasional technical glitch to managing data breach prevention and mitigation activities. However, few of these individuals perform these administrative tasks themselves. CIS staffers, many of whom hold the title of manager, instead coordinate IT operations, doling out everyday tasks to lower-level associates responsible for execution. In addition to taking supervising system maintenance and directing troubleshooting operations, these technical specialists conceive and coordinate major IT projects and ensure budgetary adherence. In all, this career is among the most in-demand occupations inside and outside of the technology field, according to research from the Bureau of Labor Statistics. Employers are on track to bring on an additional 44,260 CIS managers between 2016 and 2026, offering a median annual salary of almost $140,000. The management information systems specialty actually stems from a specific type of software of the same name, Inc. reported. The MIS materialized during the late 1800s as an early data tabulation methodology involving the punch cards. These pieces of paper, each of which represented a single database record by today’s standards, could be counted by punch-card machines, allowing entities to quickly count and categorize large amounts information. The U.S. Census Bureau was among the first organizations to leverage MIS technology at scale, using it to study the American population. These card-based systems hung around until the 1970s when IT innovators introduced magnetic storage. In the decades since, the MIS moniker has come to define any centralized database that wherein financial enterprise data is collected and dispersed via printed reports or data visualization. Consequently, many in the IT space call MIS solutions decision-making engines. MIS managers therefore play an important role in business operations as they oversee the IT architecture that literally drives the organization. In addition to addressing the occasional technical issue or installing an update, these professionals often see significant facetime with management, helping executives interpret MIS data, configure platform reporting features and ensure data accuracy. This puts them in prime position for larger roles that might include duties that fall outside of the IT realm. After all, MIS specialists do spend their days pouring over company performance insights and discussing them with those in the C-suite. However, MIS managers starting out can expect a median salary of around $74,000 per year, while those in more advanced positions can see amounts as high as $125,000. IT professionals considering either of these two specialties should develop specific competencies and skills to achieve success. For example, CIS managers should possess wide-ranging technical knowledge covering everything from cybersecurity and database management to social media and virtual communities. Additionally, communication skills and project management expertise are also useful in this subfield, as CIS managers often lead teams and oversee the execution of mission-critical IT maintenance activities, according to The College Board. Individuals going into the MIS arena should develop strong technical skill sets as well. However, ancillary competencies, including communication skills and the will and ability to collaborate, are equally as important, The College Board stated. So, where can IT professionals considering each of these career paths go to cultivate some of the abilities addressed above? The online Master of Science in Management Information Systems program at the University of Alabama at Birmingham is perhaps one of the best options. Here, students tackle more than a dozen courses designed to help them pursue computer information systems careers and MIS roles. In 100 percent-online classes such as IT Governance and Management and Data Science for Business, IT specialists learn how to oversee complex enterprise networks and leverage data-mining tools, including MIS solutions, to lift the bottom line. And other courses, like Business Communications and IT Project Management, can help them develop the secondary soft skills they need to collaborate with colleagues and supervisors, and effectively manage large-scale technical initiatives. 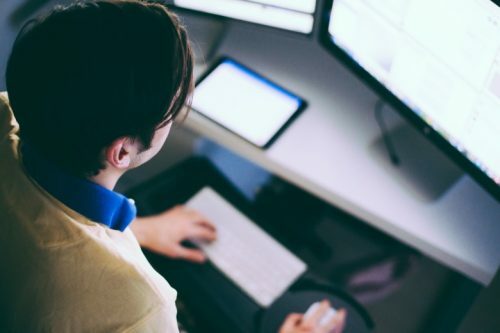 Additionally, students who enroll in the online MS MIS program at UAB can choose from concentrations in cybersecurity management and IT management, allowing them to gain specialized skills that might make them even more attractive in the marketplace. In the end, UAB’s online MS MIS degree track, which U.S. News and World Report ranked among the top 20 best online graduate computer information technology programs in 2018, can aid IT professionals pursuing roles in the MIS spaces. Are you looking into careers with management information systems degree and in need of more information about the online MS MIS program at UAB? Connect with an enrollment advisor today. What is the MS MIS bridge program? CIO vs. CTO: What’s the difference?